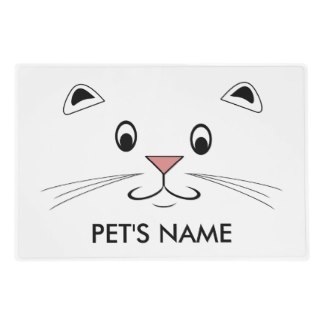 Custom Made Digital Pet Portraits On Ceramic Tiles Too! 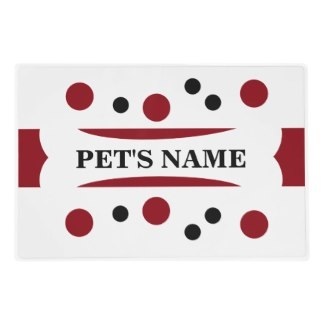 Pick a design and customize online with pet's name. 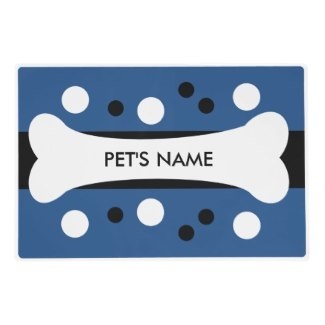 Designs have customizable color too! Placemats measure 12 x 18 inches and are laminated with a clear high gloss laminate so they are easy to clean with a damp cloth. 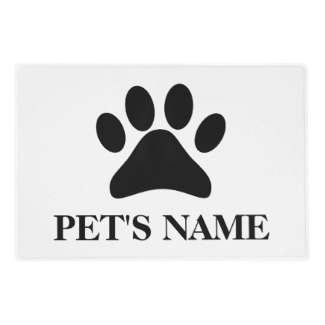 We have personalized pet bowls too!